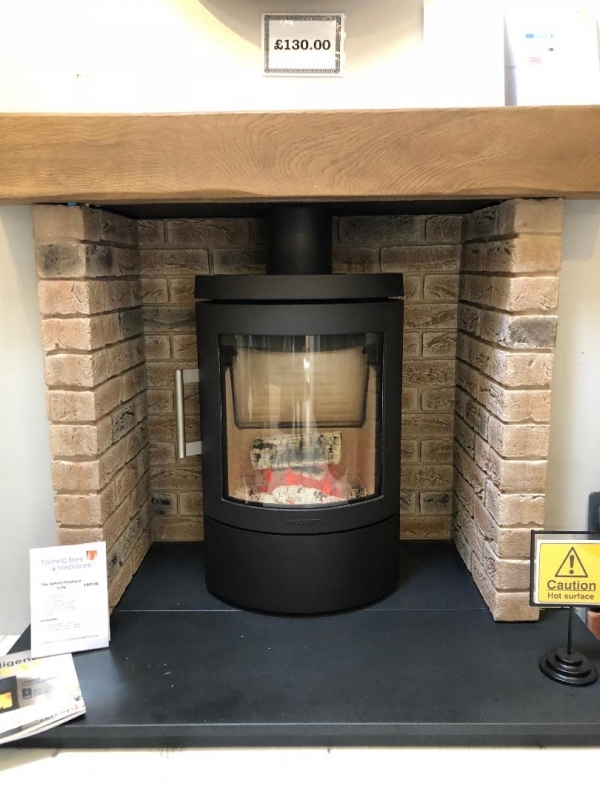 Solid fuel stoves have made a massive come back into homes, and you can have them to suit either a contemporary or traditional home. 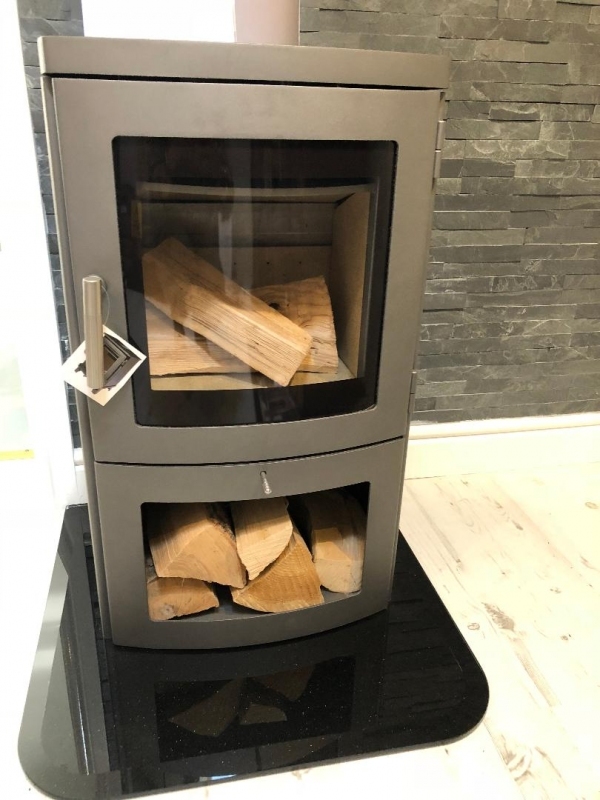 We supply such a wide range of wood burning and multi-fuel stoves from only the most reputable manufacturers with the most reliable products in terms of fuel efficiency, heat output and ease of use. Pop into our showroom for a free demonstration at any time. 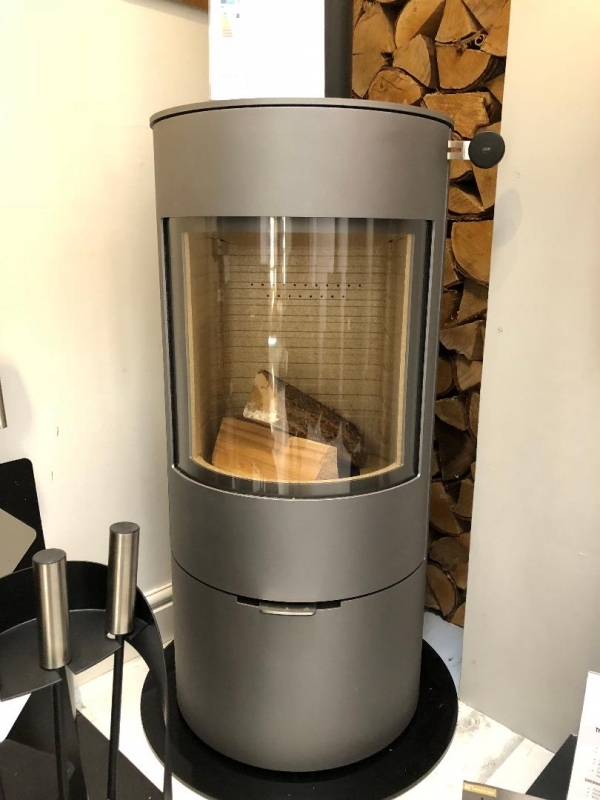 Read our blog on why you should not buy cheap stoves..
Our BEST SELLING Wood Burning Stove, The Salisbury 5 from Chesneys, DEFRA Approved. Also available in Sage Green, Atlantic Blue, Silver, Parchment and Autumn Leaf. Shown here with the ever elegant Chesneys Burlington Surround in solid limestone. The incredible Chesney Beaumont 8 Wood Burning Stove with a 6kWH Heat Output looks stunning in our rustic setting with a Faux Oak Effect Beam. 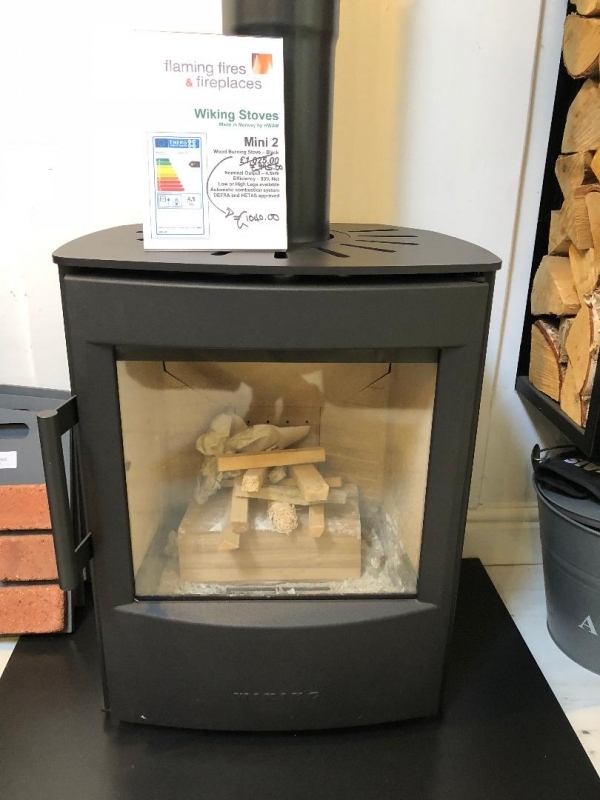 The HWAM Wiking Mini 2 Wood Burning Stove is the ideal option for both contemporary and traditional settings. Amazing as a stand-alone stove, the RAIS VIVA 100L Wood Burner comes in a range of colours. The large window gives a great view of the flames within. 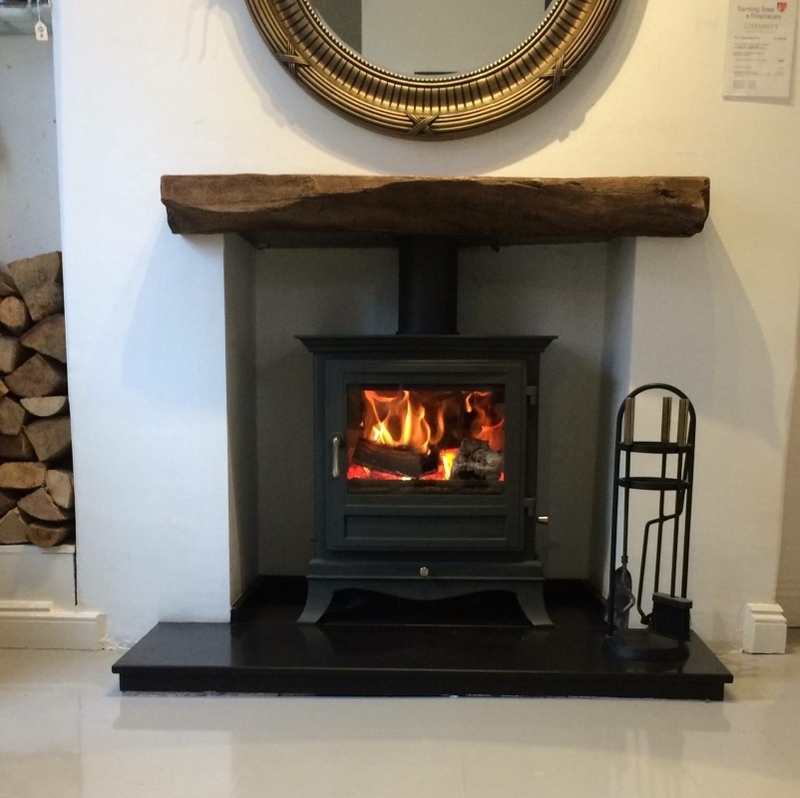 CHESNEYS MILAN 4 wood Burning Stove with LOG STORE will look great in any setting. Shown here in Silver. Also available in black and a range of special colours.